Unfortuntly there is nearly no standardization in the area of "(Enterprise) Application Integration (EAI)". It is quite confusing searching for an unique and clear discribtion about what EAI exactly is. I can not give you an all-embracing definition of EAI, however i try to give an high-level overview about what EAI is - from my point of view. I try to update this article consequently. 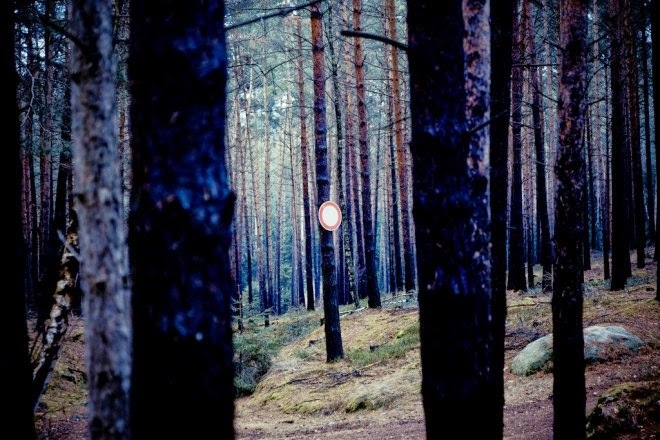 The Defintion of EAI - What actually is EAI? The starting position - in most cases - is an application landscape with point-to-point-interfaces between the specific applications. These interfaces are heterogeneously implemented (FTP, JMS, etc). In a growing landscape this leads to an increased amount of interfaces, which therefore leads to a high complexity of the whole landscape. A change in one application can cause several other changes in depending applications. This tight coupling between application leads to a low tolerance against errors and modifications. 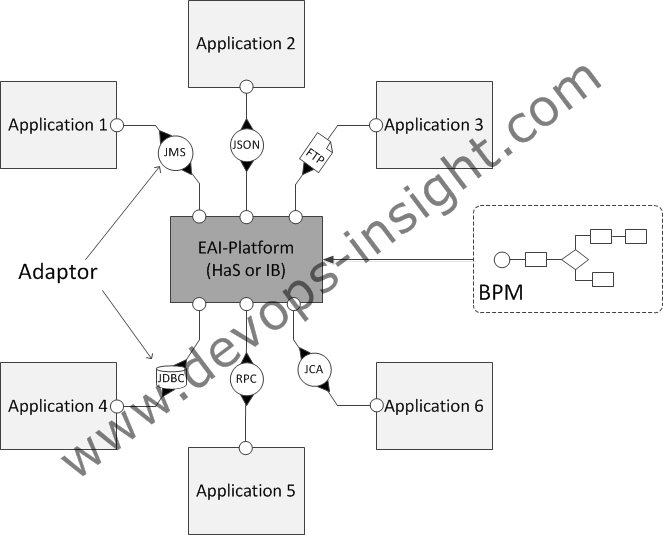 EAI is an approach to organize Application Integration in an Enterprise-wide context. The EAI-concept is using an integration platform (also called EAI Backbone or Integration Bus). This integration platforms acts as an so called mediator between the specific applications. A mediator compensates changes or errors in the integrated applications (and their interfaces). This approach leads to a looser coupling between the applications and therefore to reduced dependencies. In addition to this, less interfaces are required. The integration platforms can be structed in two topologies. The "Hub and Spoke"-Topology consits of a centralised integration platform. The "Integration Bus"-Topology consits of decentralised nodes. Each node is typically installed "near" the integrated application. As Hub-and-Spoke-EAI-Tools have an an single point of failure, Integration Bus-EAI-Tools often have an communication overhead. 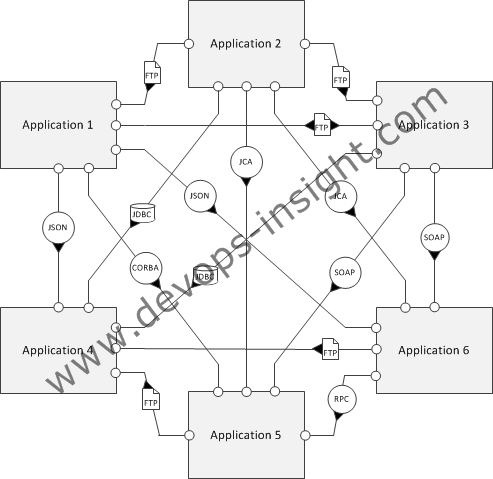 However both integration platform topologies provide standardized adaptors to interact with the applications. Most EAI-vendors also provide a business process engine to execute orchestrated processes across the integrated applications (process integration). However please keep in mind that the centralization of integration intents in one platform can cause a serious vendor lock in and organizational problems, when most projects depend in one central department which is responsible for the integration. Also security is a important aspect that needs to be considered. Typical questions in that context are "is application X allowed to see every data of application Y? ", "is the interface secure?" or "does to integration platform support LTPA-Tokens in order to authenticate the interface to application X?". The versioning of interfaces and the integration platform itself can also be a complex problem. Own experiance and images. Images are inspired by source . Liebhart, D. (2007). SOA goes real: Service-orientierte Architekturen erfolgreich planen und einführen. München: Hanser Verlag. Kaib, M. (2004). Enterprise Application Integration. Wiesbaden: Deutscher Universitäts-Verlag. Laudon, K. C.; Laudon, J. P.; Schoder, D. (2009). Wirtschaftsinformatik: Eine Einführung. 2., aktualisierte Auflage. München: Pearson Studium. Linthicum, D. S. (2000). Enterprise Application Integration. Upper Saddle River: Addison-Wesley. Josuttis, N. (2008). SOA in der Praxis - System-Design für verteilte Geschäftsprozesse. 1.Auflage. Heidelberg: dpunkt.verlag. Vogel, O.; Arnold, I.; Chughtai, A.; Ihler, E.; Kehrer, T.; Mehlig, U.; Zdun, U. (2009). Software-Architektur: Grundlagen - Konzepte - Praxis. 2. Auflage. Heidelberg: Spektrum Akademischer Verlag.